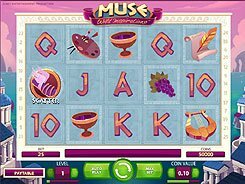 Developed by NetEnt, Muse Wild Inspiration is an Ancient Greek-themed slot with 5 reels and 25 fixed paylines. 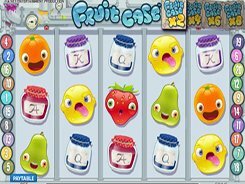 The symbols are associated with Ancient Greece and include grapes, a wine cup, a harp, a scroll and other themed icons as well as playing card symbols from 10 to Ace that also stay in line with the theme. 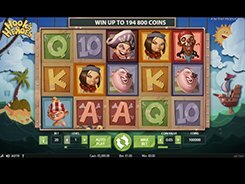 Before any spin you can adjust a coin value ($0.01 to $0.5) and the number of coins per bet line (1 to 10), thus the floor and ceiling bets are $0.25 and $125 per spin. 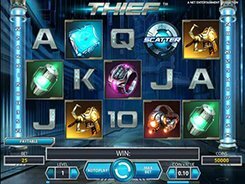 The top three awards you can earn in the slot are $2500, $1500 and $1250, all are won for combinations of regular symbols. 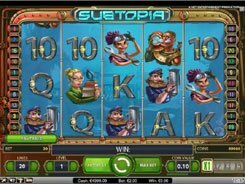 The slot’s most impressive feature is a wild symbol depicted by three muses. Whenever a wild appears on the reels, it randomly activates one of the three wild features. First, a wild can turn into an expanding wild to cover the entire reel. Second, a wild can transform into a stick wild that will stay in place for one re-spin awarded at no cost for you. 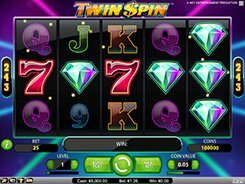 Last, a wild can double the payout when completing an active payline. 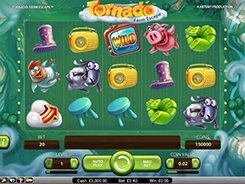 Along with the three wild features, the slot offers 10, 20 and 30 free spins unlocked by 3 to 5 scatters landed in any position.